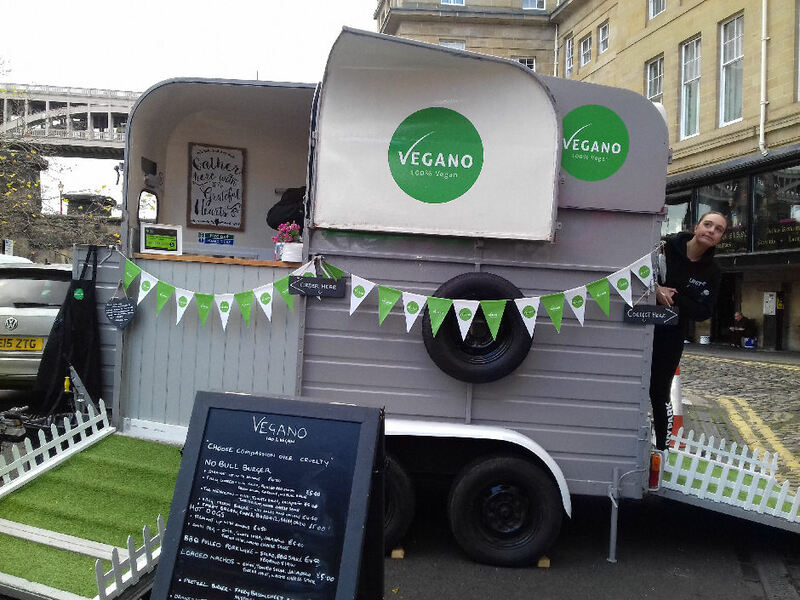 Last Sunday we took a trip down the Quayside market in Newcastle for the first time in years, as we were about to head back to the car I noticed a large green V on the side of (what looked like a converted horse box). 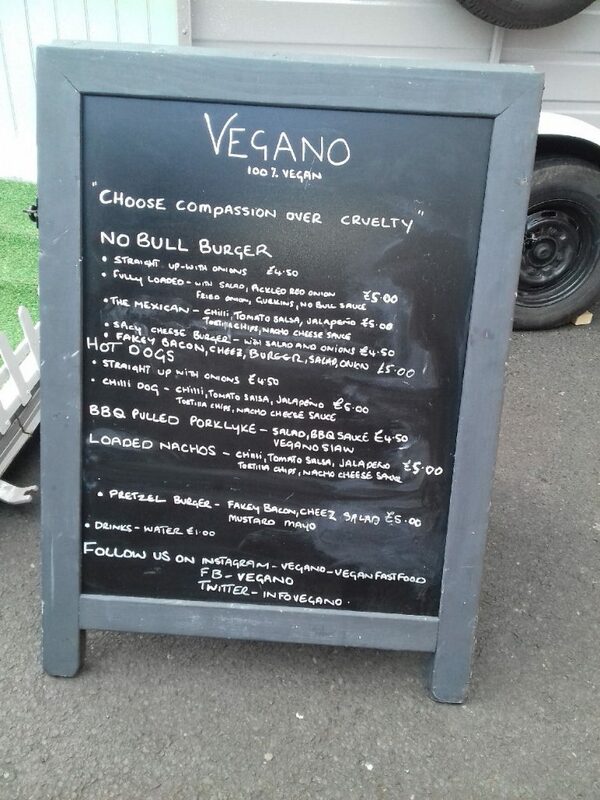 The stall was Vegano a 100% vegan fast food place that had a good selection of burgers, hot dogs and other delicious things. 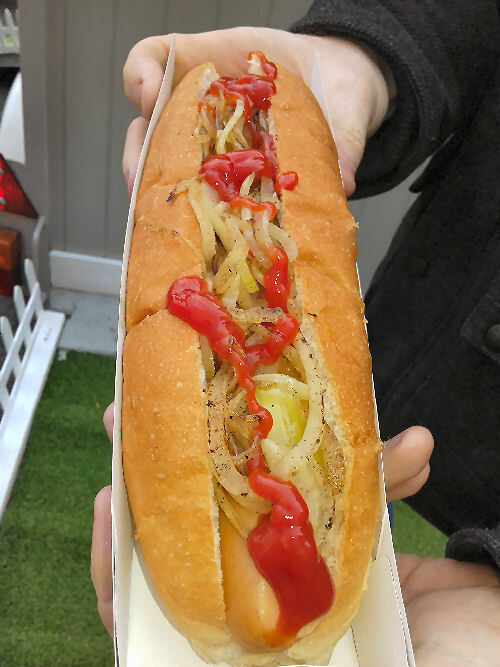 We got a large stacked (fully loaded) burger (£5) and an amazingly tasty hotdog (£4.50). When we were there the lady who ran the market offered them a permanent position there. So that’s were you will find us every Sunday lunch time from now on. Welcome to Vegano. 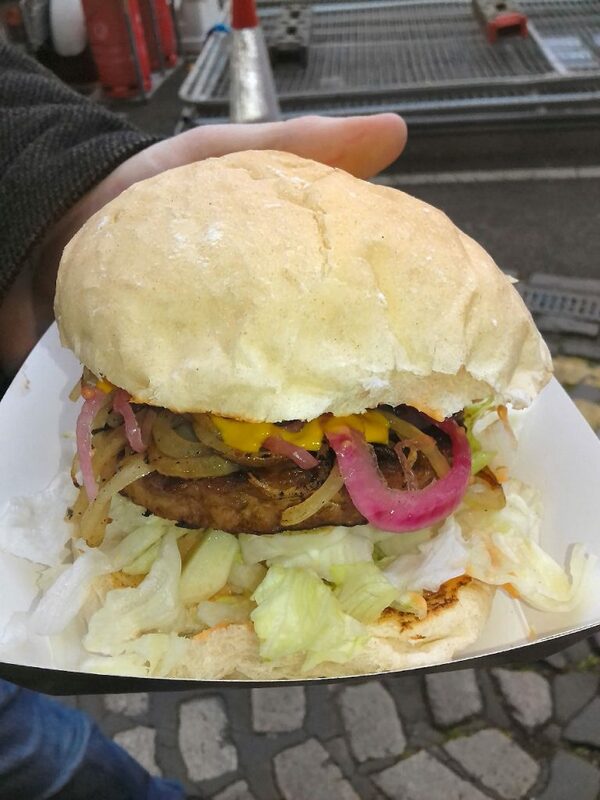 We are about to blow your mind with some really great vegan fast food served from our Vintage horse trailer. Just because your Vegan doesn’t mean you have to do without and we are here to prove that you can have great cruelty free food, which appeals to everyone and hopefully educate and convert a few good humans on the way !